PunchBets Casino: The Best Casino for Slot Players Looking for Variety? 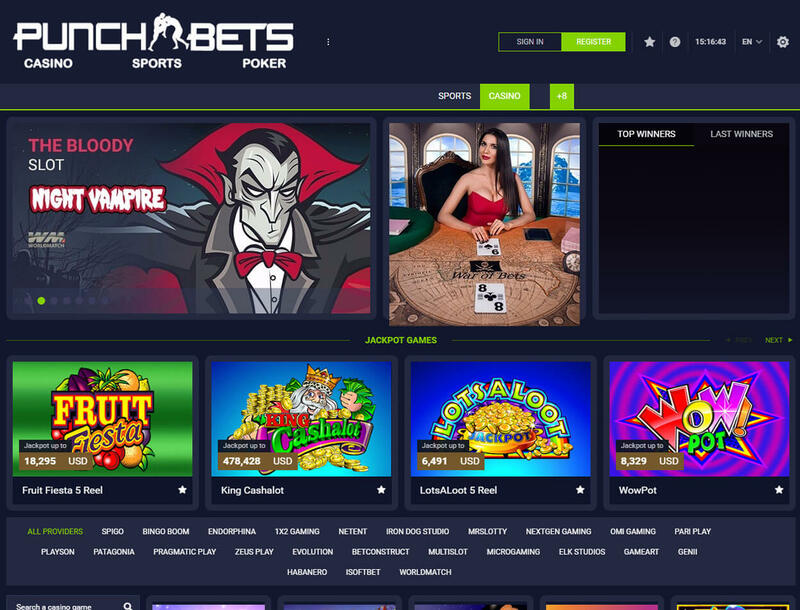 PunchBets Casino started as an online sportsbook when it launched in 2011. Before long, its operator, Radon B.V. saw the opportunity of adding casino games and poker tournaments. Soon after adding more products, the Curacao-licensed gaming hub enhanced its services by boosting banking options and making transactions more secure. 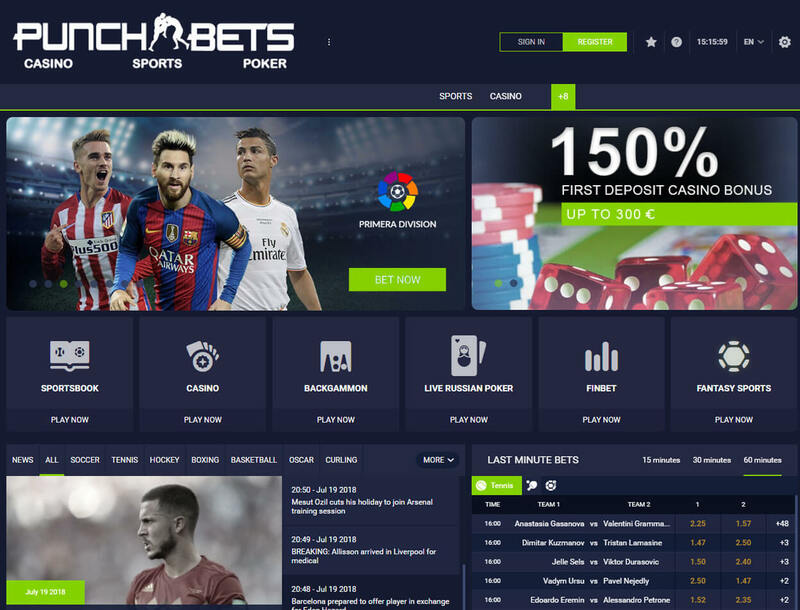 Since then, PunchBets has become one of the online destinations for all kinds of bettors. Players like you will enjoy a huge game library, a variety of promotional offers, and secure payment options. But before you register, make sure to check if online gambling is legal in your country. While the casino does not have country restrictions, it will not claim responsibility should you get in trouble for making real-money wagers. PunchBets Casino makes sure that all types of casino players will enjoy huge rewards. Whether you prefer spinning the reels or wagering on the outcome of a sports match, there is an available bonus deal for you. Learn more about these promotions below. 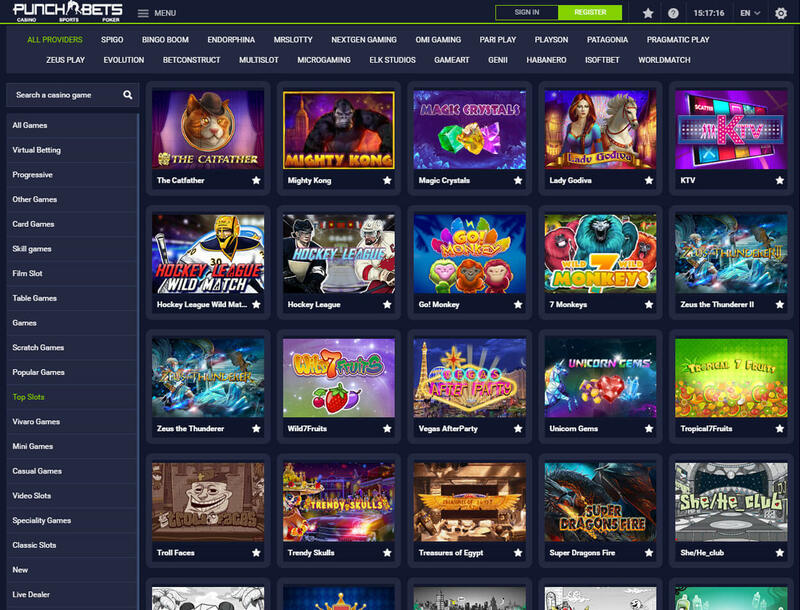 PunchBets lets you start playing casino games with a 150% bonus up to €300. After you sign up, you can activate this code in the Cashier section and make a minimum deposit of €10. Then, you are required to wager your bonus 35 times in 14 days. Otherwise, the casino will clear your bonus balance as well as the winnings you made from the deal. The gaming hub also offers a welcome package to new players who prefer to stake real money on sports matches. To redeem this bonus, simply top up your account with at least €10. 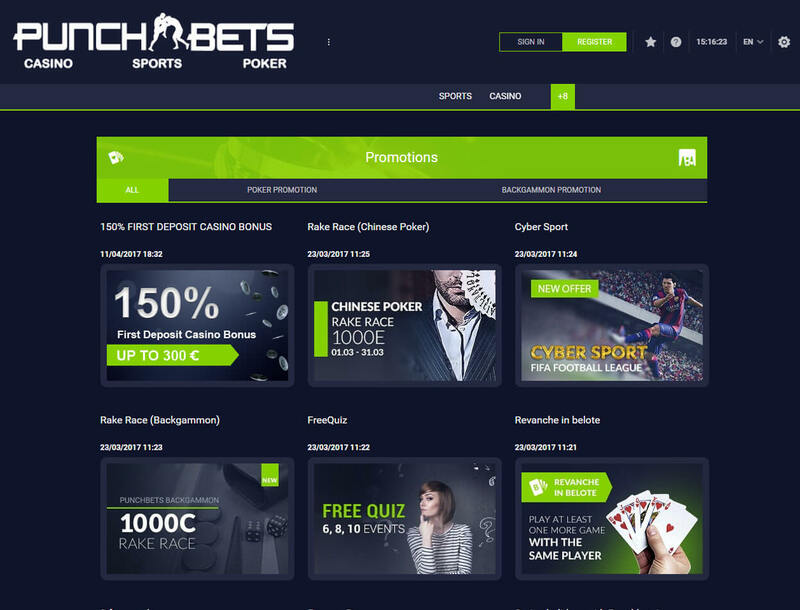 Afterward, you will receive a 100% bonus up to €200. Make sure to meet the 10x rollover requirement in 10 days to cash out your rewards. The good news is that this bonus deal does not have wagering requirements. Just keep playing your favorite poker games to get back a portion of your bets the following week. Apart from these bonus deals, the casino also offers promos that award players with cash prizes for playing a certain casino game, for betting on sports, or for playing a specific poker game. But if you love slots, you might be disappointed that there are no promos similar to Bitcoin free spins. Still, no matter where you decide to stake your funds, you have a chance to take home huge rewards. There is no doubt that the best part of PunchBets is its game library. You will be amazed to see over 1,500 titles in the Casino section. These games come from a number of providers, including favorites like Microgaming, Habanero, and iSoftBet. The only downside is that some of these games are not offered in certain countries. To check if there are titles unavailable in your location, go to the Terms and Conditions page. Like in many casinos, slots are the most popular games on PunchBets. While you cannot play Bitcoin slots, you will enjoy a variety of themes and in-game rewards as you spin the reels. Get started by playing popular titles like Thunderstruck, or try to play progressives like Mega Moolah for a chance to win a huge jackpot prize. There is also an impressive selection of table games in the gaming hub. You can play a few rounds of poker, blackjack, roulette, and baccarat. If you want to try something different, you will find a variety of specialty games like keno, scratch, and backgammon. Meanwhile, if you want to play against live dealers in real time, you can go to the Live Casino section. No matter what your preference is, you are sure to find a game that you can spend hours playing. The Sports section of PunchBets is just as impressive as its Casino section. Here, you will find an extensive list of sports matches for football, tennis, basketball, and more. You can also bet on esports, politics, and entertainment. Most of these matches allow pre-match and in-play wagers. Capping off the casino’s offers is the Poker section. This segment may not have as much variety as the Casino or Sports sections, but it holds a decent number of poker tournaments. Apart from popular poker variants like Texas Hold ‘em, unique games like Chinese poker are also available for you to try. Simply join an available room for a chance to take home huge rewards from different prize pools. PunchBets Casino has an extensive list of payment methods, all of which are trusted brands. Apart from USD and EUR, the casino also accepts AUD, CAD, NZL, RUB, SEK, NOK, and DKK. Unfortunately, the gaming hub does not yet accept Bitcoin or other cryptocurrencies. In that case, if you want to deposit using crypto, you should create an account with e-wallets like Neteller or Skrill. The minimum deposit required is €5. Meanwhile, the maximum amounts will depend on your preferred channel. The casino assures that all deposits are processed instantly, so you can expect your payment to be in your player account right away. The smallest amount you can withdraw is €15, and the cash-out limit will depend on your chosen payout method. After you make a request, expect to receive your money after 24 hours. There is no doubt that PunchBets Casino caters to players of different gaming styles and betting types. Whether you love casino games, sports betting, or poker, you will find a game you will enjoy playing. And if you are interested in trying something new, you can explore the casino’s huge game library. Plus, you will not run out of funds because there are a variety of bonuses you can claim so that you can play for hours. The only downside is the country restrictions for certain bonuses and games. In particular, the restricted bonus deals will frustrate you, especially if you want to boost your bankroll with free cash. Still, betting on PunchBets will all be worth it.